Chitosan plays a most important role in the regenerative medication for wound healing. The adhesive nature of chitosan, with their antifungal and bactericidal character, and their permeability to oxygen, is a very important property associated with the treatment of wounds. Different derivatives and combination of chitosan have been reported for this purpose in the form of hydrogels, fibers, membranes, scaffolds and sponges. 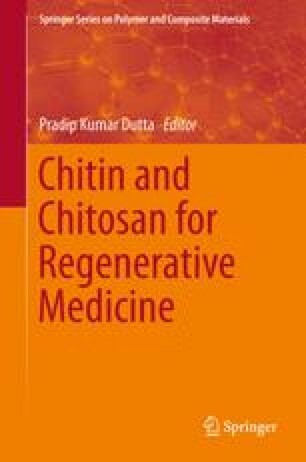 The purpose of the chapter is to have a closer look in the work done directly by different researchers on the chitosan formulation with potential medicinal applications to provide a better understanding of its usability in regenerative medicine. One of the authors (Madhu Kashyap) gratefully acknowledged the spontaneous support and cooperation from Garm Bharti University during her research work under Ph.D.programme.